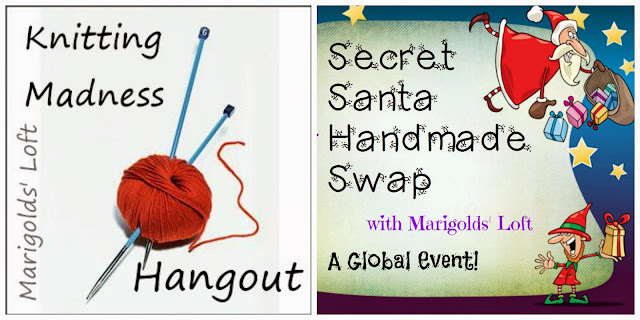 This month's Knitting Madness event will introduce some of the Secret Santas taking part in the 2013 Global event that started at the end of last week. If you are wondering if this would be an event you may like to take part in next year then come on over and join us. The event will be streamed here in this post LIVE as it happens. You will also be able to take part in a Q and A with the participants on the Event Page.